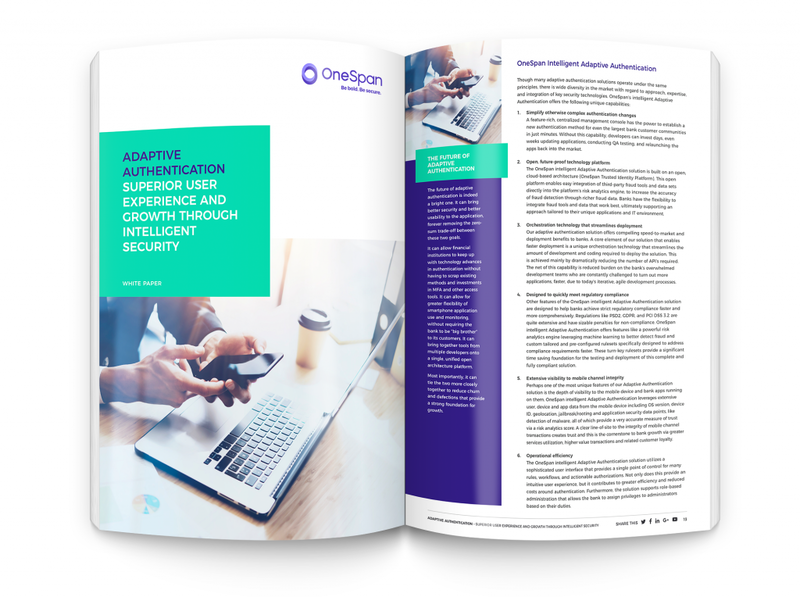 Intelligent adaptive authentication is a new approach to combatting fraud that solves this problem and achieves the twin goals of reducing fraud and delighting the customer. Provide the below details to get your copy of this white paper! FinTech Futures will use the details that you provide here to send you the white paper and share them with OneSpan for informative purposes including follow-up on the white paper. Security and esignature company teams with authentication firm. Business solutions company Vasco is making a major pivot. Join Fintech Futures and OneSpan for a live webinar on Tuesday, 19 March!